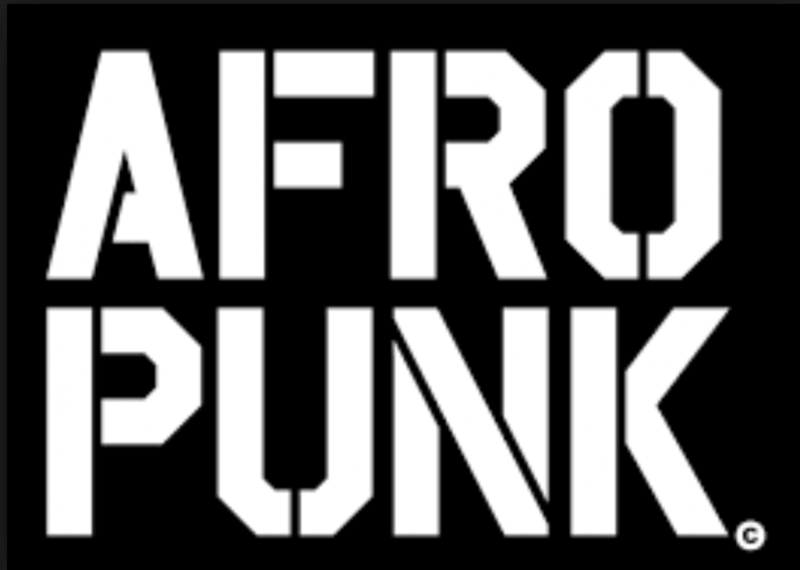 AFROPUNK London is the first festival of its kind here in London, having been going since 2005 in Brooklyn and finding success in Paris just last year. Having avidly followed AFROPUNK pages on social media for some time and supported the message it aims to put across, as it calls for equality as well as appeals to anyone who wishes to stand against institutional and social oppression predominantly of black communities worldwide, I jumped at the chance to attend. On a wonderfully sunny but slightly breezy September day, Alexandra Palace made a great venue. Upon arrival, photographers asked for photos of people, and groups asked for you to take their photo immediately presented the strong, afro-centric, individualistic style AFROPUNK encourages as well as a hint of glamour and exclusivity to the event which was empowering—everyone felt and looked amazing. Not only this, but this sense of dressing for the event but also as yourself, united festival-goers, people gave each other compliments and boosted the confidence of all attendees. This also added to the amazingly laid back vibe running throughout the whole day, but also perhaps the organisers, too, as some festival goers had commented on a lack of clear organisation and set times (though the festival app was really helpful here). Only towards the evening did things start to warm up a little in the crowds, but this did not detract from the festival as a whole, and was refreshing to be in an environment where people cared about the cause for equality behind the festival, their look for the day, displaying the most spectacular dance moves, the acts performing, and in general the people around them. It was really a great example of a refined day festival: an overtone of social media presence was crucial for the festival and, being at the heart of its popularity and sustained interest, gave it an excellent balance between enjoyment and a feel of glitz and glamour almost. The event also attracted a number of big name attendees including Skepta, the Black Lives Matter UK movement and female rapper Lil Simz as a guest performer, to name a few. The festival did not hold back on the punk element, with the likes of Cakes Da Killa and Youth Man tearing up the i-D stage, donning a sense of rebellion that indeed underlies the event, that is, to stand as a minority and speak up on issues that matter. Particularly, before Laura Mvula’s performance, a speaker came on stage to speak about justice concerning the death in police custody in the UK and notably at the moment in America, encouraging us as an audience to gauge the seriousness of the situation. In particular, highlighting that the road to equality between races is most definitely a long one, but events such as AFROPUNK are telling the younger generation to spread and continue to raise awareness of such injustice, and seek injustice, to speak out in whatever way you can, with what you wear, what you choose to expose yourself to culturally, how you choose to express yourself and also via social media, as well as by uniting to make this change together. The elements of social activism of the festival were not made to be or feel like a chore, but in fact AFROPUNK makes it feel cool, confident and enjoyable, and most importantly empowering for all. Posters around the festival proliferated a slogan of ‘No Hatefulness’ on all intersectional levels, contributing to its relaxed atmosphere. One highlight of the day had to be when Lady Leshurr asking all audience members to raise a fist and say ‘I have a dream’ as an intro to her hit ‘Chase The Dream’, which was particularly memorable and empowering. It left you with goose bumps all over as for a split second you re-live what Martin Luther King said in his infamous speech during the American Civil Rights Movement, leading all the way back to the present moment, with you standing, free to be there and as you are, with your fist in the air saying the same thing, realising that, ‘Yes, I do have a dream’, that everyone has a dream, and a right to chase it. Although the very people who have lived before you to allow you dream may not have got theirs, due to the sad and relentless oppression on the basis of race. That moment from the festival alone speaks volumes to me, this may not be to the same degree as the past, but the fight continues for those who care about their children and beyond that; to live in a world where they won’t be killed or discriminated against for simply being who they are, living as respectable citizens and being innocent. Thank you AFROPUNK, it was a blast and a success. And London is without doubt ready for much more next year.